Jack E. Burnett passed away on January 19, 2017 to be with his beloved wife, Marie and family in heaven. 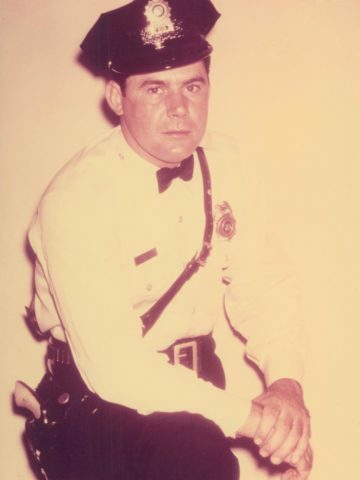 Jack was a retired sergeant of 38 years with the Nashville Metropolitan Police Department. He was an avid golfer and loved his card games. He loved all his dogs as family. The Honorary Pallbearers are the Thursday Night Moose Lodge Crew. Jack is survived by his daughter, Sylvia (Dave) Robinson; sister, Laura Odle; many nieces and nephews. Visitation will be Sunday, January 22, 2017 from 2:00pm until 6:00pm and Monday, January 23, 2017 from 9:00am until the service hour at 10:00am. Interment will follow at Harpeth Hills Memory Gardens. Jack was a good guy have known him for years. Reed, Laura, Linda and I sends our condolences. I’ve only known Jack for about 3 years but I will truly miss him at our Thursday night card games. He was one heck of a player! I learned a lot from him. So sorry for all his family and friends. Jack was a Super Nice Guy – Our Neighbor and Our Friend. He will be truly missed by all who knew Him. I know He is so happy to be able to be with His Sweet Little Marie as I know he stayed broken hearted when she left him and Buster. Our heartfelt Love and Prayers go out to Sylvia and Dave and His sister Laura and all of His Family and Friends. So sorry Sylvia and Dave. Enjoyed playing with him at the Moose. He sure had a nice career and service to the people. RIP Jack. A good guy, always in a great mood, made everyone around him smile.